When you or someone you love has been arrested and charged with a crime, securing prompt bail is essential. Bail allows defendants to remain free pending trial, to maintain employment, to minimize disruption to family life, and to better assist with their own defense. But how are bail amounts determined and what factors go into making that determination? While bail is typically set at a defendant’s first court appearance before a judge or magistrate, many jurisdictions rely on bail schedules to set fixed bail amounts for common offenses (such as shoplifting and public intoxication). A defendant can secure his or her release after booking simply by paying the pre-set schedule amount for their offense. If the amount is low, many defendants are able to pay out of pocket and secure their release immediately. 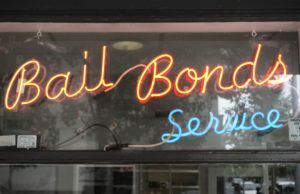 For higher bail amounts, it may be necessary to work with a licensed bond agent. The nature of a defendant’s offense has a lot to say about their bail status. For particularly serious offenses (such as homicide or a violent crime against a child), a judge or magistrate may opt to set no bail and instead remand the defendant to custody pending trial. For most less serious offenses, however, a judge or magistrate usually sets bail consistent with jurisdiction guidelines for the offense. The likelihood that a defendant will “skip,” also exerts a large influence on bail amounts. Bail is basically an incentive for defendants to meet their obligations to the court. A defendant who has either missed prior court dates or who has the means to flee (such as wealth, a current passport, or family abroad) may also be remanded without bail to assure their appearance at all future court dates. We sometimes hear the phrase “ties to the community” when discussing how bail is set. This is because judges must assess a defendant’s flight risk when setting a bail amount. The phrase “ties to the community” can mean that the defendant is locally employed, has family residing in the area or is involved with faith-based or other community organizations. These ties help assure the court that the defendant does not represent a significant flight risk and is likely to make all required court appearances. Defendants with established community ties may receive more lenient bail amounts (unless other factors of their cases warrant otherwise). Defendants with a prior arrest history face a special type of scrutiny. If you or a loved one has been released on bail for a prior offense, the court will check to see whether all assigned court dates were met. Defendants who’ve met all their previous obligations to the court are more likely to receive some positive consideration when facing a new bail hearing than are defendants who skipped bail or missed a prior court date. More recently, computers have entered the bail-setting arena. Some jurisdictions have begun using computer-driven algorithms to set bail. Basically, some basic information about each arrestee is entered into a program. This information most often includes age, current charges, criminal history, and court appearance history (whether the defendant has made their prior court appearances as stipulated). Based on these data, the computer recommends a bail amount for the defendant. The recommendation is then reviewed by a judge, who takes into account any extenuating factors in the case that may influence bail and makes a final determination. If you or someone you love has been arrested, a bail bond agent can be your best ally. At Bond James Bond, we work with defendants and their families to help assure prompt release and full compliance with all court obligations—without breaking your budget. Our licensed and experienced bond agents are eager to help. Contact us today! Bond, James Bond, Inc. can handle any size or type of Georgia bail bonds in Barrow County, Bartow County, Cherokee County, Clarke County, Cobb County, Floyd County, Gordon County, Gwinnett County, Paulding County and Polk County. We are always open - 24 hours a day, 7 days a week including holidays. We have 13 locations which are conveniently located to serve you better. Visit us at www.bondjamesbondinc.com, or call Bond, James Bond, Inc. at (678) 825-3436.